Bartholomé (bacon cheeseburger) - £12. Bartholomé meal deal with Fernandines (fries) and any soft drink - £15. Surely that's in Euros, yes? Oh, it isn't. Well for that money it had better be good. Ostensibly, it's fast food. 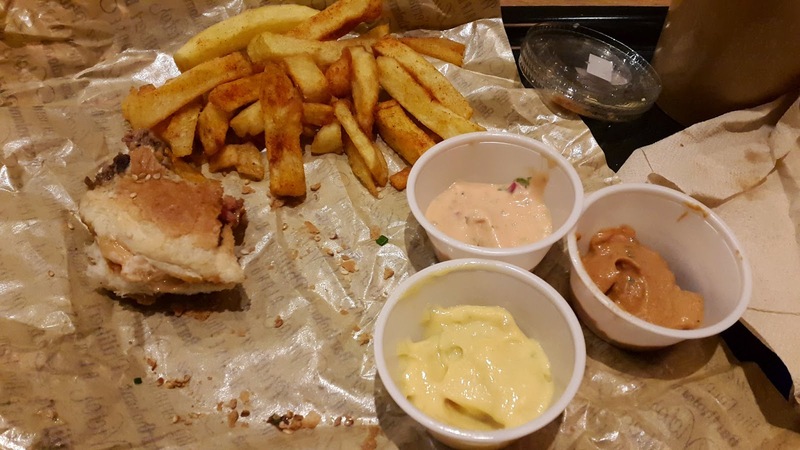 The burger is wrapped in branded, greaseproof paper and served on a plastic tray along with a tubular cardboard pot of Fernandines and a drink. It is ready in moments - but that could just be the eagerness of the grill boss to get the food out avec vitesse on soft launch day. On the unwrap, it's a bit underwhelming. The flattened, over-sized bun hides the great majority of the interstices and it lacks the initial visual impact to moisten my tastebuds and justify the £12 price tag. C'est combien?! Of course you have to hand it to our cousins across the Channel, they do have savoir faire when it comes to flavour. Biting through the burger, I finally started to understand what I'm getting for my money - the combination of the Tata Fernand and BB Fernand sauces (cocktail and bbq to you and me) fabriquer chez Big Fernand, melding with the oozing melted raclette, caramelised onions, and dry cured streaky bacon is magnifique. It's a very different beast to most of the other burgers on offer across London with the layers of sweet and salt building on the palate to form a fantastic refined flavour, plus a little je ne sais quoi, that put a smile on this francophile's face. 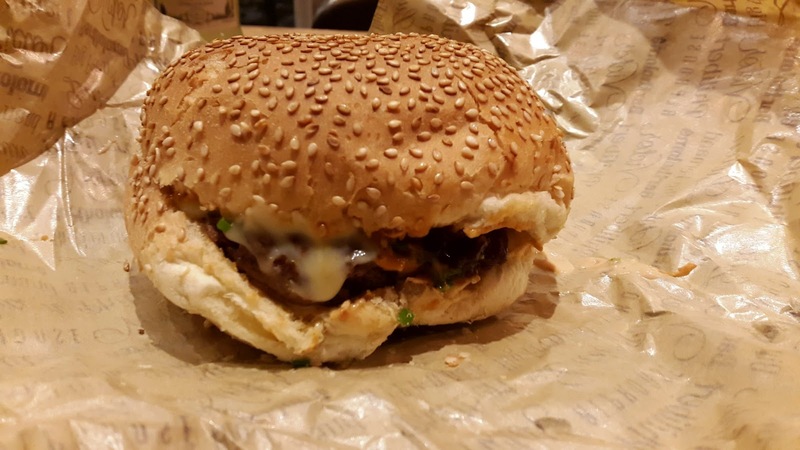 The beef in the Big Fernand burgers is frankly awesome. It has been aged to the point of soft, mellow earthiness which, along with the caramelisation from the flat-top grill, merges perfectly with the toppings it's been paired with giving layers of flavour rolling across your tongue, and a smooth, creamy aftertaste. And there's no question of you not having it cooked to order either - with 'blue rare' an option on the menu - you can have it done however you want. Of course, being French, they've also put a rose veal burger on the menu paired with a fennel mayonnaise, which I'll be trying next time. The bonus to this is it also makes it super easy to eat with one hand as it moulds itself around the whole ensemble. The Fernandines are french cut fries, double cooked, made in house and they're covered in a house seasoning that's like a paprika salt. They're fine with a decent crunch, but are not the star of the show here. Bof. 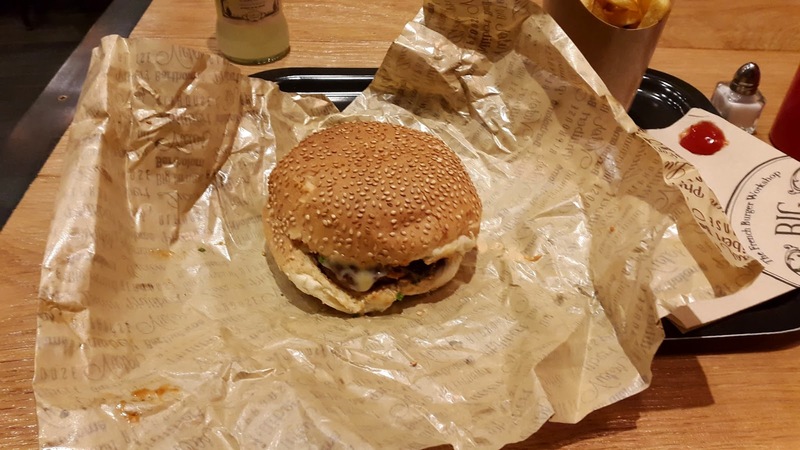 The Bartholomé burger from Big Fernand is very good. 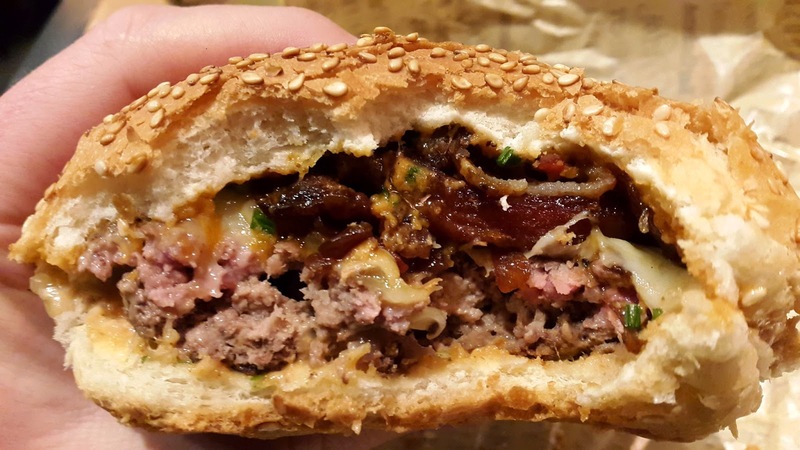 The way the flavours work shows a real understanding for burger creation, while the textures between bun, bacon, cheese and beef are exceptional. It's a different proposition to a host of other burgers out there, and it works, so vive la difference! But, mais oui, there is a but, it is £12 for the burger alone, and £15 for the meal deal that's an eye-watering price given that not far away you have burgers like Patty & Bun (£8 Ari Gold with bacon), MEATLiquor (£8.50 Dead Hippie) and Honest Burger (£10 Honest burger with fries) - and compared to the Big Fernand Paris menu which is the same numbers but in Euros - I think the team need to revisit their pricing strategy. Great to see another burger bar on London's prolific beef scene ! They have situated themselves in one of the most expensive parts of London so the rent is going to be très cher, but even so, this kind of pricing is the other side of my pain barrier so I'll be bidding Big Fernand adieu. @Snortripper Before you bid Big Fernand adieu for good, please be aware that following Hamburger Me and other reviewers' comments, the guys at BF have taken note and are currently revisiting their pricing structure. So bear with them a little.. Thanks, Ricky. 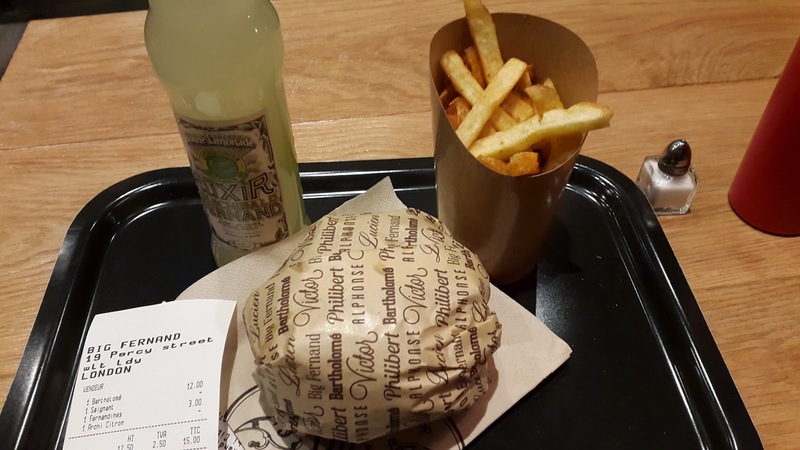 As much as I would love my burgers for free I know that will not happen, but Big Fernand has to come into line with the others or offer a bigger and better proposition if it wants to charge prices like that. And even then, we are in a different dining territory. Looks like they've removed the meal option but dropped the Bartholomé burger to £9 (fries £3, drink £2.50). There's a cheaper burger and lamb, veal, chicken and veggie options for £9 or £10.